Members of the 20th Special Forces Group recently took part in Saber Junction 18 – an exercise held at the Joint Multinational Readiness Center in Hohenfels, Germany. The 20th SFGA personnel trained with members of the 1st Territorial Unit Dainava of the Lithuania National Defense Volunteer Force (NDVF) during the month of September 2018. The NDVF is also known as Krasto Apsaugos Savanoriu Pajegos or KASP. 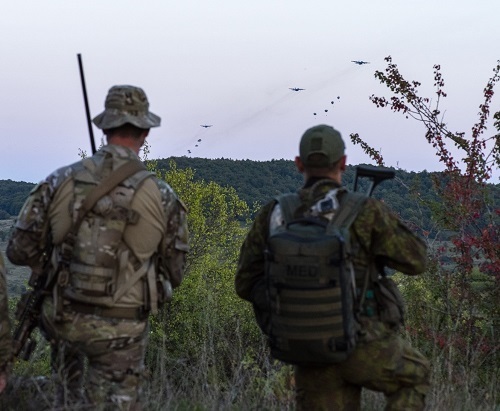 The Saber Junction 18 exercise assesses the readiness of the 173rd Airborne Brigade (based in Italy) to execute land operations with Allied and partner nations. In the exercise scenario the Green Berets of 20th SFGA worked alongside their KASP partners conducting irregular warfare in enemy occupied territory. Photo caption: Saber Junction 18 – KASP and 20th SFGA await 173rd Paratroopers infiltration into an enemy-held area by airborne operation. Photo 1st Lt Benjamin Haulenbeek; SOCEUR, September 19, 2018. The Saber Junction 18 exercise provided the KASP with the opportunity to work with US special operations forces. In the event of a Russian invasion the KASP would likely conduct guerrilla warfare and other irregular warfare operations in conjunction with NATO special operations forces. KASP has already had some limited encounters with the former Soviet Union. After Lithuania declared independence from the Soviet Union in 1990 Moscow tried to re-assert control of the Lithuania capital. The newly formed NDVS stood in opposition to Moscow’s objectives. 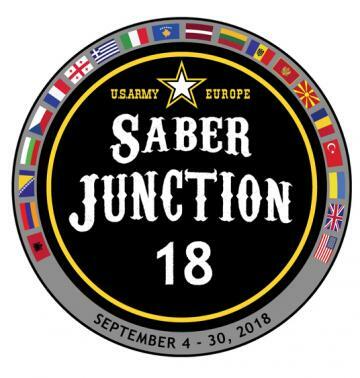 The Saber Junction 18 exercise had over 5,500 participants from 20 allied and partner nations. The training took place at the Hohenfels and Grafenwohr training areas in Germany. The annexation of Crimea and the Russian involvement in the fighting in eastern Ukraine has put the Baltic states on edge. They are now working very closely with NATO and other nations to beef up their defense to deter Russian aggression. Should the Russians decide to invade the Baltic states they would very likely succeed after a brief period of fighting. However, the prospect of a long-term insurgency with NATO support could be a deterring factor. An event similar to the Russia aggression witnessed in Ukraine or Crimea taking place in Lithuania is unlikely. The Russian ethnic composition of Lithuania is much smaller than that of Latvia and Estonia. However, Lithuania lies between the Russian oblast of Kaliningrad and the territory of Belarus and Russia could decide they want a secure land corridor between the two locations. Special Operations Command – Europe has been actively engaged in training exercises with nations of the Baltic Sea region to include Finland, Sweden, Lithuania, Latvia, Estonia, Poland, and Norway. SOCEUR trains with these NATO and partner nations in Europe and in those countries as well. 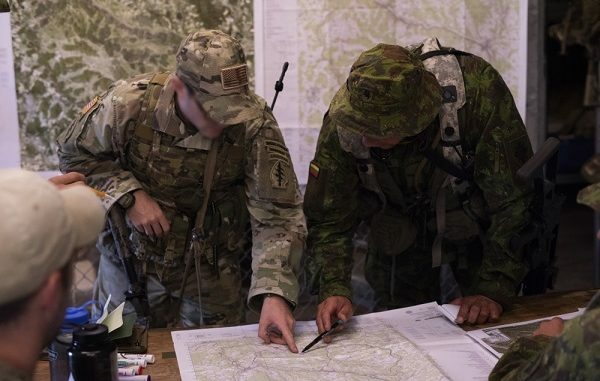 The SOF command has as one of its core missions the conduct of unconventional warfare in the Baltic states. See “Lithuanian KASP and US SOF train irregular warfare at Saber Junction 18”, SOCEUR DVIDS, September 27, 2018. NDVF 1st Territorial Unit Dainava Military District, Lithuanian Armed Forces. Saber Junction 18, 39th Air Base Wing Public Affairs, September 21, 2018. Watch a 2-minute long video explaining the exercise. Top Photo: Saber Junction 18 – KASP and 20th SFGA personnel conduct mission planning. Photo by 1st Lt Benjamin Haulenbeek; SOCEUR, Sep 19, 2018.